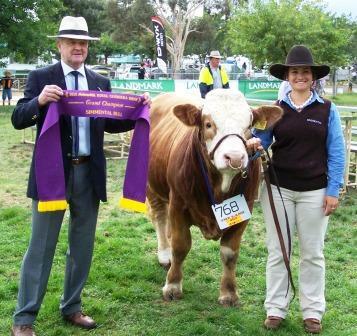 2013 Royal Melbourne Junior Handler awarded to Jess from Lucky Clover Simmentals. 2nd Place in Junior heifer class for Mala-Daki Pocahontas G502. 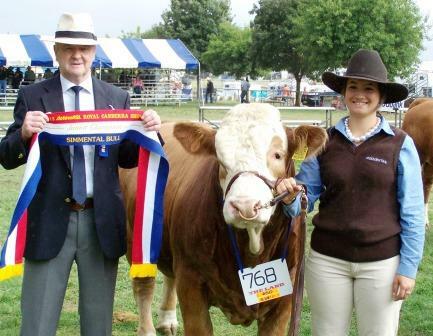 1st Place in class for Junior bull Mala-Daki Jade G515. 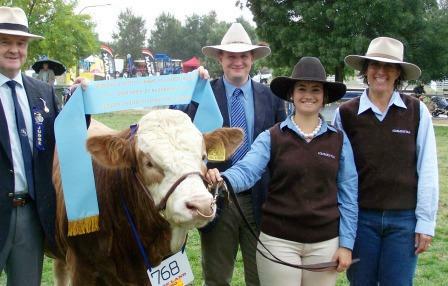 Placings in Junior heifer classes for Lucky Clover with Lucky Clover Black Pearl and for Mala-Daki with Mala-Daki Lolli G498 & Mala-Daki Pocahontas G502. Placing for our baby bull Mala-Daki Heidelberg H534 and Junior bull Mala-Daki Jade G515.